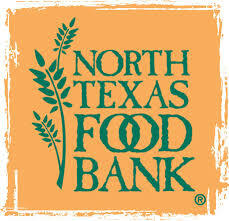 You may not know this but, yesterday was North Texas Giving Day. It’s a day dedicated to raising awareness of local charities and giving to great causes. While I spent a small portion of my day trying to raise money for my own charity, I also wanted to help other charities that were in need as well. Thanks to my new affiliation with the Dallas Fitness Ambassadors I was able to do just that. 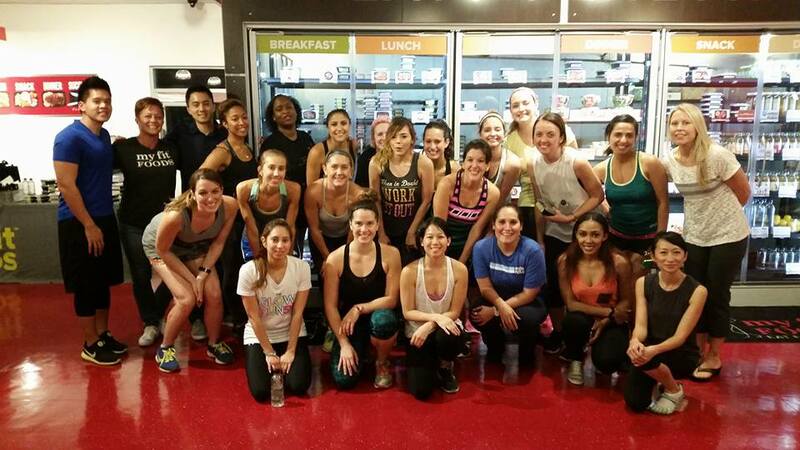 I had the esteemed pleasure of attending the My Fit Foods Pay Fit Forward event in Dallas along side other bloggers and the Dallas Fitness Ambassadors. During the month of September, My Fit Foods’ is encouraging guests to share healthy lifestyle habits with friends, while giving back to those in need. 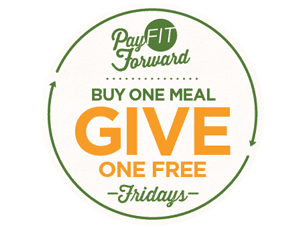 When you purchase a meal at My Fit Foods during participating “Pay Fit Forward Fridays” you will also be offered the option to donate a FREE meal either to a friend, or to the North Texas Food Bank. What an amazing idea! Feeding yourself healthy eats while helping provide healthy meals to those in need. When I say healthy, I do mean HEALTHY. 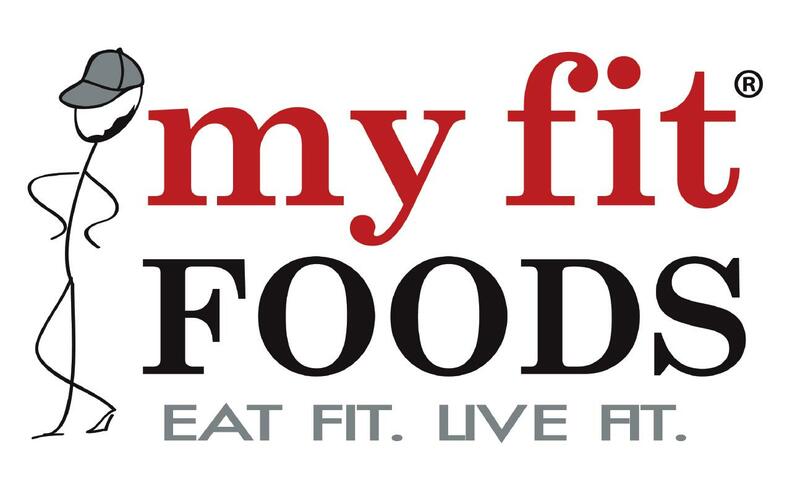 My Fit Foods serves meals prepped fresh with natural ingredients. 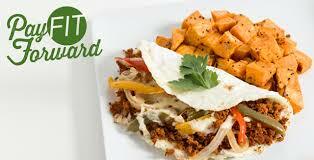 This is not your typical fast food folks! 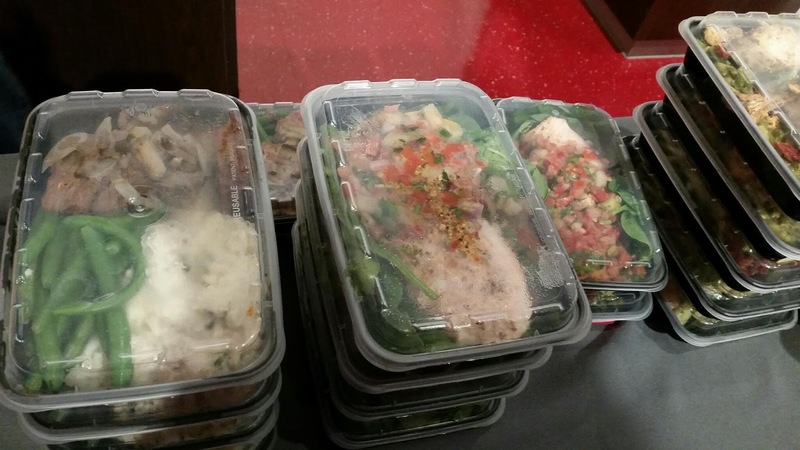 These are meals that look just like they were prepped and packed by you. They are portion controlled and made to fit your needs.There is no GMO, no preservatives, none of that typical fast-food junk. For this reason My Fit Foods are made to be picked up a few times a week. Your left overs wouldn’t last much longer than that either, which tells me this place is the real deal. More preservatives = more shelf life. I had such a good time it was a blast to meet some of my internet friends in person! As a nutritionist I have a huge respect for what My Fit Foods is doing and I encourage each of you in the DFW area to check them out. 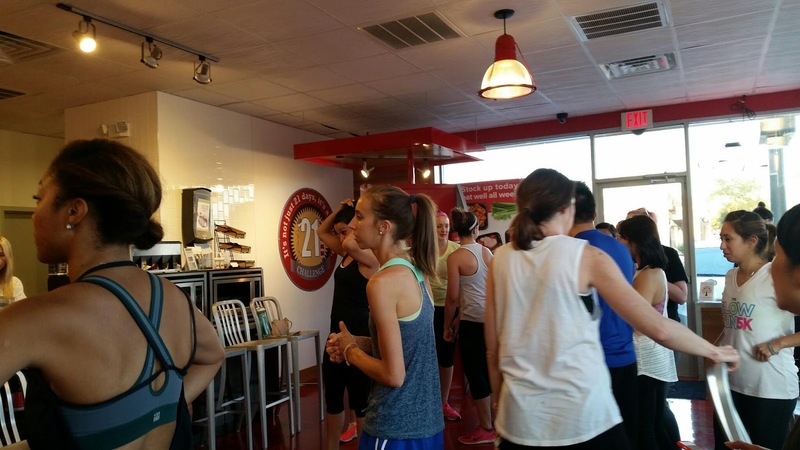 It looks like fast-food has finally made the turn to healthy food and I love it!